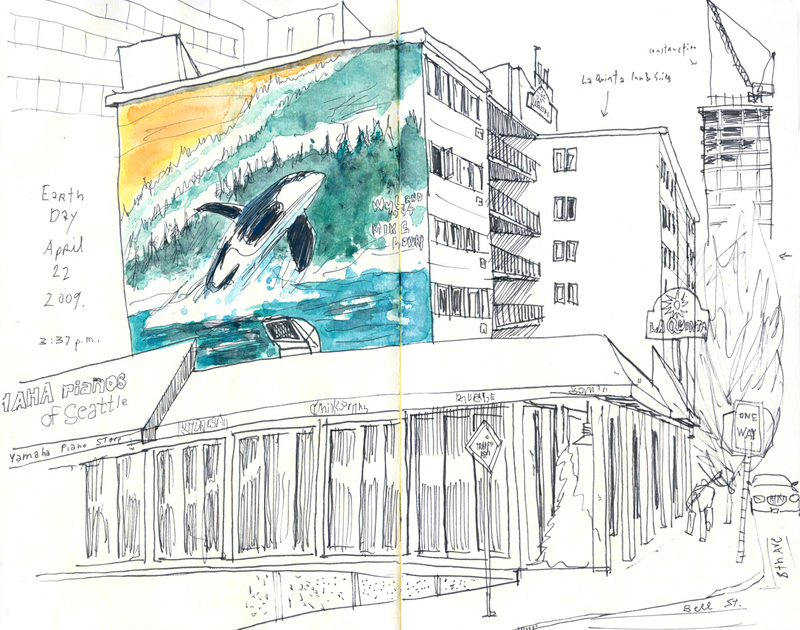 I love the Wyland murals on the La Quinta Inn building near Denny Way. I walked by the one on the north side this afternoon and immediately thought of Earth Day. The beautiful marine life scene in the middle of the asphalt jungle is a good reminder that we are not alone on this planet.